Astronomers have been able to study planet-forming discs around young Sun-like stars in unsurpassed detail, using ESO's Very Large Telescope. 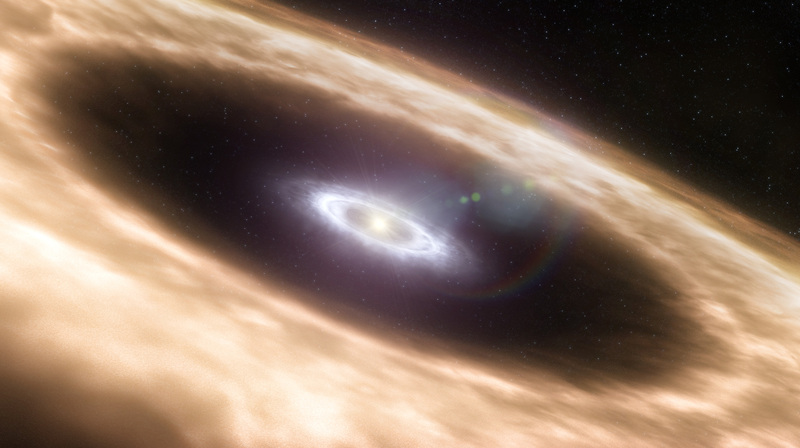 The studied discs were known to have gaps in the dusty discs (represented by the brownish colour in the image) but the astronomers found that gas is still present inside these gaps (represented by the white colour in the image). 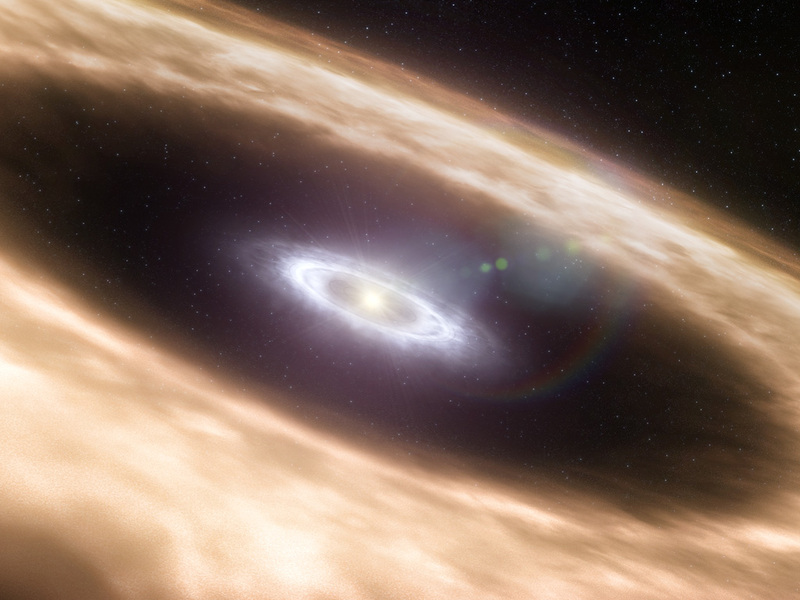 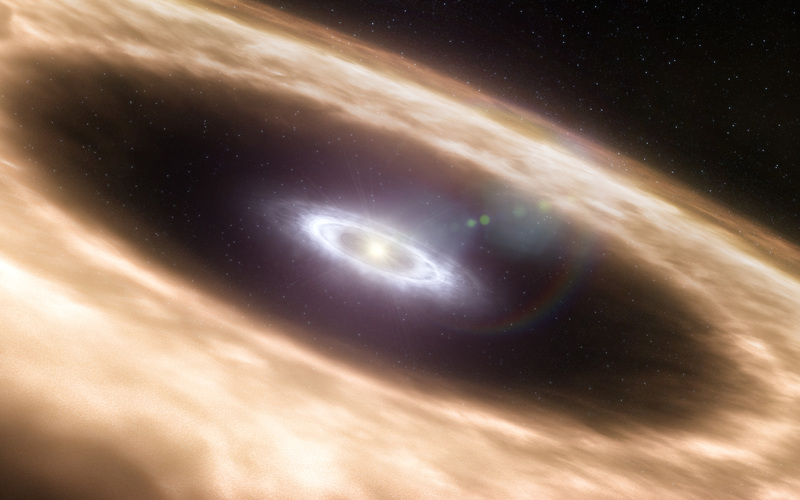 This can either mean that the dust has clumped together to form planetary embryos, or that a planet has already formed and is in the process of clearing the gas in the disc.